Tesla burned through $700 million in cash last quarter, but its production woes appear to be easing. 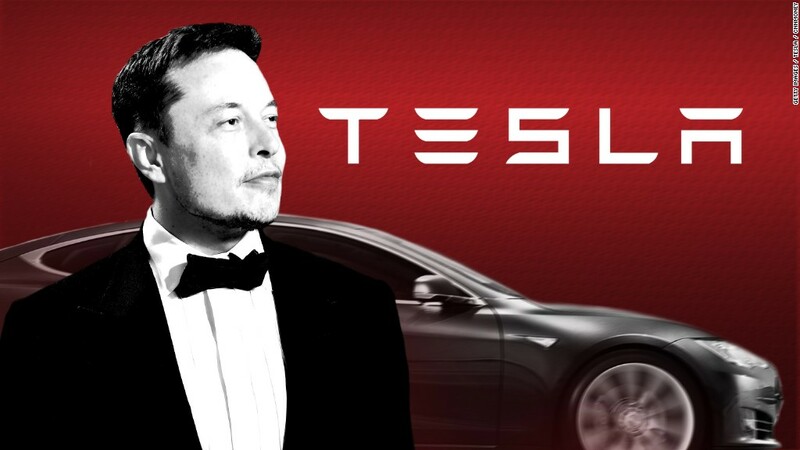 The electric carmaker posted its latest earnings results Wednesday, and the filings show Tesla's (TSLA) money stockpile shrank from $3.4 billion to $2.7 billion the first three months of the year. Investors expected Tesla to eat through significant cash as the company doubled down on solving a string of manufacturing issues that have plagued the Model 3. That's Tesla's first mass market car with a starting sticker price of $35,000, and its success is considered key to the company's business model. Tesla said it hit a production rate of 2,270 Model 3's per week in April, and it was able to churn out 2,000 or more cars for three straight weeks — finally reaching a milestone it hoped to hit last year. CEO Elon Musk made a renewed commitment earlier this year to getting production back on track. He said recently that he occasionally sleeps on the factory floor. "It looks like Elon's all-nighters at the factory are paying off, because Tesla seems to be finally getting some momentum," Jessica Caldwell, executive director of industry analysis at Edmunds, said in a statement Wednesday. The company expects to be making 5,000 Model 3's per week by the end of June. The Model 3's price point — thousands of dollars cheaper than Tesla's other two vehicle models — revolves around it being relatively simple to mass produce. And the company has said that will mean automating much of the process. But on Wednesday, Musk said manufacturing has actually been improved by taking some robots off the assembly lines. "We did go too far in [on automation] and automated some pretty silly things," he told investors. One example: Musk said Tesla had a very complex robot designed to put fiberglass mats on top of the Model 3's battery packs. But the robot did a poor job of handling the material, which Musk described as "fluff," so it made more sense for a human to take on that task. And then, after further testing, Musk said Tesla found the fiberglass mat wasn't even necessary. Tesla may be getting its production woes under control, but it's still far from profitable. And if more manufacturing hangups are in store for Tesla, the company could be headed for a cash crunch. The company is facing $1 billion worth of bond payments that will come due over the next year, including $230 million due in November and $920 million next March. In March, Moody's downgraded its debt deeper into junk bond status and warned more downgrades could be coming. Standard & Poor's also has warned of the possibility of a downgrade. The latest earnings report did not appear to encourage investors, despite posting revenue figures that beat analysts' expectations. The company's stock price shed nearly 5% of its value during after-hours trading Wednesday. Efraim Levy, a financial analyst at CFRA, said in a note reacting to Tesla's earnings that CFRA's "initial impression is mixed." "Notably, reported free cash flow was [better] than we expected, but we remain concerned about cash levels." Correction: An earlier version of this article misstated the amount of Tesla's cash burn last quarter.